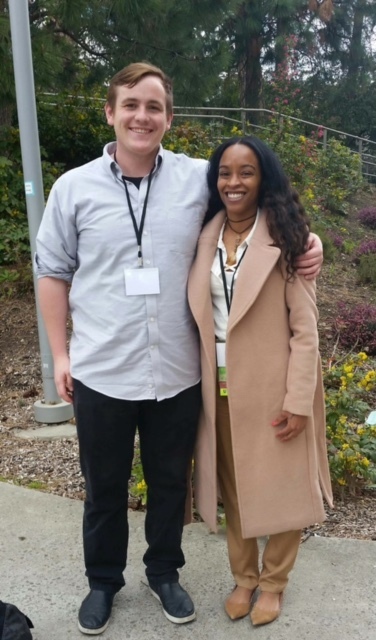 Last weekend, two honors students presented at the Western Regional Honors Council’s (WRHC) conference in Ashland, Oregon at Southern Oregon University (SOU). The following members of SOU’s Honors College organized the event: Ken Mulliken, Executive Director; Liesa Morrow-Bratcher, Office Specialist; Prakash Chenjeri, Faculty. 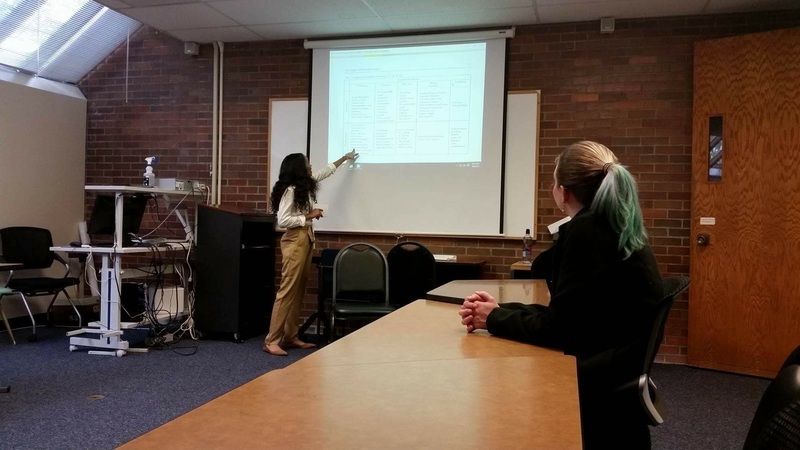 SOU Honors WRHC Interns Lauren Aldana, Riley Evetts, Briana Morgan, and Micaela Saling also worked on the conference. The WRHC is our regional chapter of the National Collegiate Honors Council, and I attend the chapters meetings each year at the national conference. I’ve been waiting for a conference to be held near enough to our college that we could afford to send students. Tonyae Meeks presented, “Human and Environmental Health vs. The Waste Management System,” based on the research she conducted in Eileen Thompson’s honors WR 121 class. Gus Smith’s presentation, “Production, Adaptation and Iconography of the Oresteia and Greek Theatre,” shared his research findings from Aryn Bartley’s honors Introduction to Drama class. 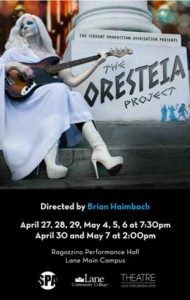 His historical research was also shared with the college drama department to inform this year’s production of the The Oresteia Project. Honors faculty member, Aryn Bartley, accompanied the students to the conference. The Honors Program provided tickets to the Oregon Shakespeare Festival’s (OSF) production of Julius Caesar on Friday night. The OSF’s director, Cynthia Rider, gave the conference’s keynote speech on Saturday evening. Gus is currently enrolled in the Honors Capstone Seminar. 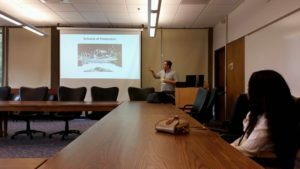 I’m sure his experience this weekend will inform his group research project and the symposium he will help organize later this term, and I’m also sure that Tonyae’s experience will impact her work in the seminar next year. This entry was posted in Honors Students, NCHC, Seminars, Uncategorized, Undergraduate Research, Western Regional Honors Council and tagged Aryn Bartley, Briana Morgan, Cynthia Rider, Eileen Thompson, Gus Smith, Ken Mulliken, Lauren Aldana, Liesa Morrow-Bratcher, Micaela Saling, Prakash Chenjeri, Riley Evetts, Tonyae Meeks on April 10, 2017 by Ce Rosenow.